Editor’s voice – August 2011: Happy Birthday pharmaphorum! Today is officially pharmaphorum’s second birthday, as precisely 2 years ago on this very day the website went live and the first articles were published. And so here we are now, two years, 320 articles from hundreds of authors, much hard work and several grey hairs later with an ever expanding website, a fast growing global audience and many exciting plans for further growth, both content and features wise. So in honour of our birthday and especially all those who’ve helped us get here we’d like to take the time to recognise some of the many contributors to the site and unofficially nominate some for our special awards. But please, please, please don’t be offended if you’re not mentioned. The truth is we completely appreciate each and every contribution to the site and it is all of you who have made pharmaphorum what it is today – this is just a bit of fun! Also, we know we need a decent search function (sorry) and we’re working on it (honest). However, in the meantime if you want to check out articles by the people we’re about to mention just type their name in the search box above and press enter – they should come up in the results. And now, without further ado, onto the awards…drum roll please! Back before pharmaphorum launched it was pretty tough to persuade people to write stuff for an unlaunched new channel (you don’t say? ), especially when it didn’t come with a multi-million pound launch budget, but just one very enthusiastic optimist. However, Wednesday 26th August 2009 saw the site go live with the founder’s introduction and two other articles from external authors and this award is for those early contributors. Winner: Joint winners of Alasdair Naylor / Eliot Forster and Paul Stuart-Kregor for their respective articles that were on the site on day one. Thanks to you for believing in pharmaphorum from the very beginning! Honourable mentions: Pete West, Keith Brockbank, various folks from IMS Health and Paul Jones for also providing great content in those first few weeks. We’ve been lucky enough to have a number of authors seemingly enjoy the experience of publishing on pharmaphorum so much that they kept coming back for more, much to our eternal gratitude. Today, we have a number of regular authors who write series and we’re always keen to welcome others into the fold. Winner: pharmaphorum was barely a few weeks old when Mike Rea committed to writing a regular piece every two weeks (his WAIMO series), a run which continued for over a year and saw him contribute some extreme common sense in his pieces. It might not quite match up to him being named on the PharmaVOICE 100 recently, but we hope it helped him get there in some small way. Honourable mentions: There are many other great series writers but the recent contributions from Chris Stevenson, Jean Samuel, Alex Butler, Michael Spitz, René van den Bos, Richard Heale, Emma D’Arcy, Amit Vaidya and Faisal Ahmed all deserve special mention. Pretty much everyone we’ve encountered has offered some helpful advice, but a few have gone above and beyond to help pharmaphorum grow. This award recognises those who have helped shape the site to where it is today. Winner: Andrew Spong has to take top honours here in a close race. Although he hasn’t featured personally on the site (something shortly to be rectified!) he has introduced us to many other authors and imparted much wisdom on community building. His advice and support has been invaluable, so thanks Andrew! Honourable mentions: So, so many to mention here, but in particular the advice and support from Peter Llewellyn, Mike Rea, Alex Butler, Faisal Ahmed, Emma D’Arcy, Simon Pickup and Robin Block has been much appreciated. 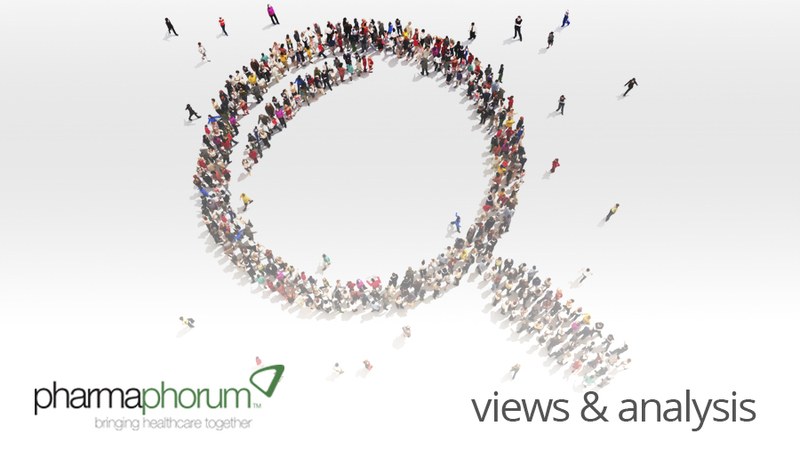 We should never forget that whilst the focus of the content and discussion on pharmaphorum is on the issues facing those working in the pharma industry, it is the patients who are at the heart of everything the industry does. This award is for those who have reminded us of this through their actions. Winner: This one goes to Jeanne Barnett, for talking to pharmaphorum quite early on about her work with developing www.cysticfibrosis.com where she impressed us with her commitment to the patient and thoughts on building such communities. Honourable mentions: We’ve also enjoyed speaking to many others, both within pharma and outside, who really get the patient perspective. However, special mention has to be made of Brian Loew from the patient community collective Inspire, Wendy White, who presented the caregiver perspective recently and Andrew Spong, who tirelessly drives the patient agenda. pharmaphorum started producing video content at the end of 2010, initiated through collaboration with the aforementioned award winner Mike Rea. Since then we have done many more and this award recognises those brave enough to put themselves in front of the camera (and in front of us!). Winner: Early in 2011 we decided to kick off a new video series of interviews with those working in the social media space in pharma. Step forward Gary Monk, who got the series rolling in a two part interview filled with insight. Surely a film career beckons Sir? Honourable mentions: Every interview has since revealed some great perspectives and helped show the human side of those involved. We really can’t single out individuals so thanks to all of you so far: Mike Rea, Angel Gonzalez, Matt Lowe, Rob Halkes, Charlotte Sibley, Thibaut de Lataillade, Leandro Herrero, Mark Bradley, Allen Mackintosh, Ian Sampson, Michael Murray, Sally Collins, Craig DeLarge, Silja Chouquet, Atul Sharma and Veronica Botet (in no particular order!). We’ve recently tried to make sure we regularly cast out gaze beyond the US and European markets to hear what pharma can learn from the emerging markets. This award recognises those who have helped us do that by sharing their expertise on these regions. Winner: The award has to go jointly to Valentina Jaramillo kicking things off with her great piece on Latin America (written in conjunction with Ruben Gennero) plus writing and arranging a number of further pieces and Amit Vaidya for his fantastic recent series. Honourable mentions: We have to also say a big thanks to Ruben Gennero and Carlos Pinzon for working with Valentina, also Atul Sharma, Girish Bakhru, Dinar Kale and Syamala Ariyanchira for their perspectives on India plus mention Martyn Link for his great piece on the emerging power that is China and David Campbell for the IMS ‘pharmerging’ view. As the world seems to get ever more complex and digital permeates every aspect of our business and home lives, sometimes you just need someone to explain it all in plain English. Here we recognise those blessed with the gift of simplification in relation to technical issues. Winner: We proudly present this award to Faisal Ahmed, who has coordinated with us to write the Beginner’s Guide to Digital series. All the knowledge and simplification here has definitely come from Faisal though, who knows digital intimately and has an amazing ability to break through the jargon and express simple common sense! Honourable mentions: There have been many other great authors on the topic of digital, but we have to specifically mention Richard Heale, Erroin Martin, Judith von Gordon and Alex Butler for being able to distill the simple essence of this area. Finally, the award for out-of-the-box thinking is for those who can look way beyond today and cut through the murky waters of current business challenges to see what the real issues are and where the future of pharma sits in the grand scheme of things – the true innovators! Winner: A tough one this, as we see creative, innovative thinking everywhere with our contributors, but one individual stands out – step forward Alex Butler. He may lose us mere mortals sometimes with his forward thinking vision, but who else could stimulate a discussion comparing pharma PR to steam powered elephants? Honourable mentions: Many, many other contributors could be named here, but the titles of articles by Chris Stevenson (Wool, cotton, motor bikes and medical writing) hint at his creative genius and the superlative way with words of Emma D’Arcy also deserves special mention. So there you have it – all our second birthday award winners. Pop on a party hat all of you, get the balloons out and enjoy a birthday drink on us! And thanks to all those we didn’t have space to mention too. As we said at the start, everyone’s contribution has been absolutely fantastic and we look forward to working with all of you between now and our third birthday. o	The first in our patient perspective interview series offering a view of pharma through the eyes of the patient. o	A review of all things pharma and social media by the lovely people at Creation Healthcare. •	A wide range of discussion topics in interviews from PAREXEL, Sanofi, Janssen, Merck Serono, the Tufts Centre for drug development, Streaming Well and a review of the NHS shake up by Omar Ali. •	More features in our regular series from Richard Heale, Claire Nicholson, Alex Butler, Michael Spitz, René van den Bos, Angela Dunn, Faisal Ahmed and the latest instalment from our ‘Expert Review’ series. •	More material from familiar faces to pharmaphorum – Chris Stevenson, Maureen Shaffer, Dinar Kale, Jane Chin and Andreé Bates. •	Additional digital pharma celebrities in our social pharma faces series, including Len Starnes, Andrew Widger and Kai Gait. o	Micromass, who apply a scientific view of human behaviour to patients with some interesting outcomes. o	Doctors.net.uk, demonstrating the benefits of pharma forming a partnership with online professional networks. o	AT Kearney, investigating the potential of mobile health. o	Wisper Public Affairs, presenting the first in several controversial opinion pieces. We hope that’s enough to keep you entertained. Until next time, do keep sending us your thoughts and suggestions and remember to raise a toast to yourselves and pharmaphorum this coming weekend. Right then, we’re off down the pub! What have been your pharmaphorum highlights so far?